Amazon wants to put an Alexa device virtually everywhere, from your car and study stable to your home’s wall and kitchen counter. To make this a reality, Amazon launched a ton of Alexa-powered devices yesterday which include new Echo smart speakers, a smart microwave, the Echo Wall Clock and a smart plug among others. 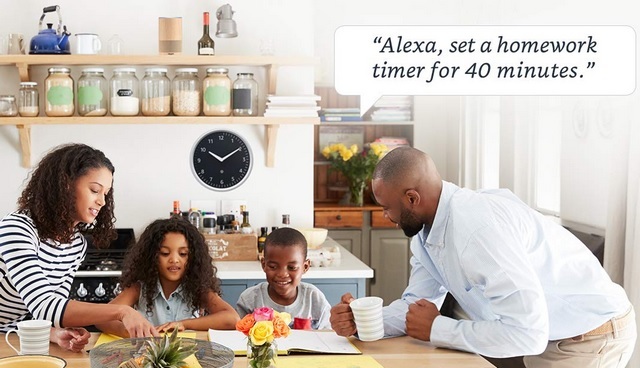 The Echo Wall Clock is a companion device which allows users to connect it with other Alexa-powered devices over Bluetooth. The Echo Wall Clock, aside from displaying time, allows users to set timers and check reminders. For example, if you ask your Echo speaker to set a reminder 15 minutes from now, an LED will light up to show you the time pending. Users can also set multiple timers at once, and each time a countdown is reached, the clock will chime to alert users. The device can also automatically adjust the time for Daylight Saving. 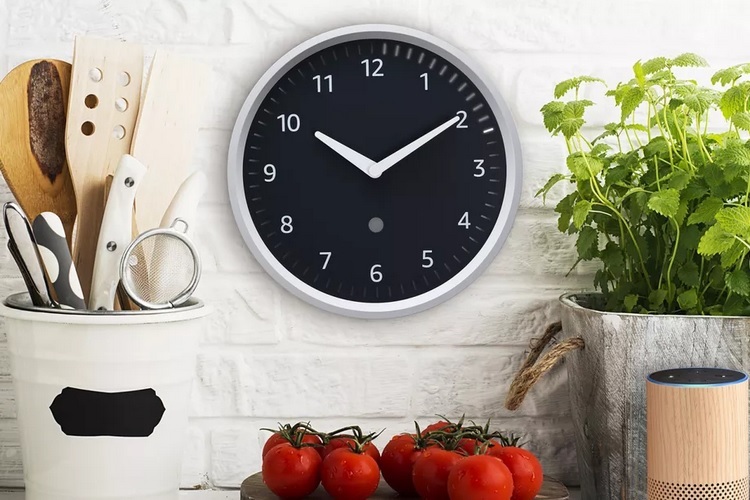 The Echo Wall Clock is priced at $29.99 and will be available early next year. The Amazon Basics Microwave is a normal microwave at the core, but the differentiating factor is Alexa integration. The device features a dedicated Ask Alexa button and comes with multiple presets for cooking, which reduces the hassle of manually entering the temperature and setting a timer. For example, just say “Alexa! Heat the pizza for five minutes on medium” and the device will happily comply, heating the dish and then reminding you with a beep when it is done. There is also a popcorn button which allows users to not only make popcorn, but also asks them to register for a subscription for buying more uncooked kernels from Amazon. This feature keeps a record of how many times you make popcorn and the weight of corns used each time. The device will then accordingly send an alert to restock when it detects that the user might soon run out of raw kernels. 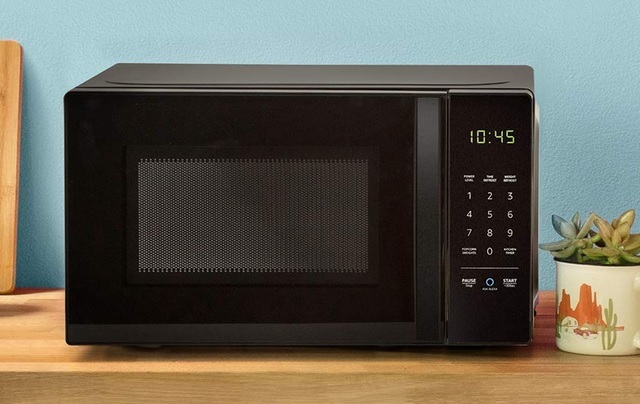 The Amazon Basics Microwave is priced at $59.99 and is now up for pre-order, however, shipments are expected to commence on October 14. The Amazon Smart Plug is basically an Alexa-powered plug which converts any electric appliance into a smart device. 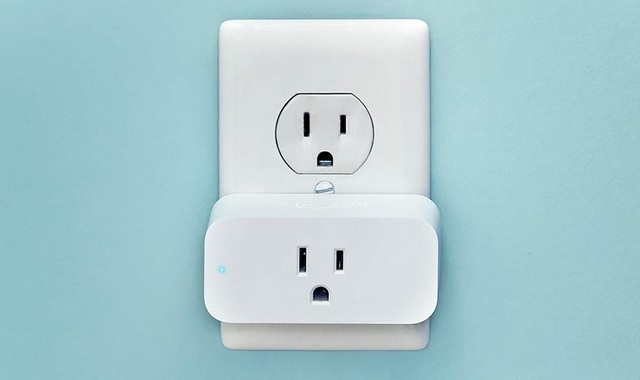 The smart plug connects over WiFi with an Alexa powered device, from where users can perform tasks like turn on/off an appliance via voice commands and also schedule timers. The Amazon Smart Plug is priced at $24.99 and will be available starting October 11.